Here is the first MTN free browsing trick of the year. 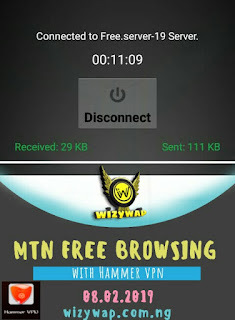 MTN free browsing with Hammer VPN is capped between 100mb - 200mb per day, It can be used on only Android device and can access any site, stream videos online, download any file, as long as you don't exceed the daily limit( which can be bypassed). 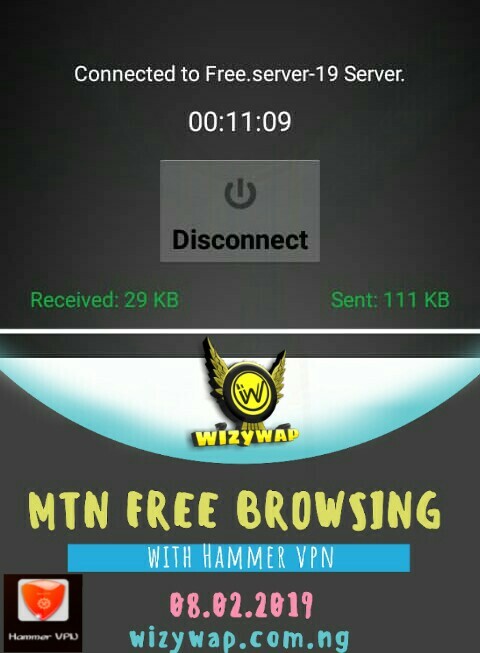 Hammer VPN does not require any special configuration or SSH setting or DNS and the settings is open to every one, unlike the previous MTN freebrowsing with HTTP injector/KPN tunnel that uses a special(lockable) settings. ⚫Password - Do not change it, Hammer VPN will not connect if changed. It might take a few seconds to connect and if doesn't connect, select another server. Repeat this until it connects.